Just released officially in selected regions, Langrisser Mobile has proven to be a force to be reckoned with as a highly anticipated and very well received Strategy RPG for both Android and iOS platforms. 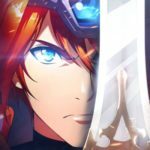 As it banks on every memorable aspect of its classic incarnations as well as touches into new game modes that have become necessary in today’s online RPG genre, Langrisser Mobile proves to be a game that goes beyond its familiarity and fame with long-time fans and has drawn in new fans with all that it has to offer. Although Langrisser Mobile’s intriguing story and host of characters that spark interest and fascination may well be its strongest points, the deeper than usual level of customization on heroes and troops, which lead to a more diverse crafting and operation of strategy, makes it all the more enticing for fans of the genre as well as players who want to strongly test their strategic prowess and tactical skills in a game. As we have previously shared several basic tips and strategies in our Langrisser Mobile beginner’s guide, you may want to read it first if you haven’t yet, especially if you are just starting out in the game. Moving forward, we will cover more intricate strategies here with a presumption that you have already gone through our previous guide. So without further ado, below you can read our Langrisser Mobile advanced guide, that features a number of useful tips, tricks and strategies! Langrisser Mobile isn’t all about strengthening your heroes. As each of your heroes command troops in battle, so too must each available set of troops be trained for increased efficiency. The materials you will need to train your troops can primarily be obtained in Aniki’s Gym which can be accessed through the Secret Realm button on the right side of the screen. Each unique training which provides specific troop class materials will only be available on certain days but all choices will be open on Sundays. Every attempt costs 20 stamina and you can get additional rewards for your first 2 attempts. Before trying this out, therefore, be sure to identify which troops you would want to prioritize before heading in. 20 stamina for the first may be very much worth it, but farming beyond that may be a bit expensive as far as stamina and reward ratio is concerned. 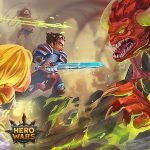 You will eventually have to upgrade each and every kind of soldiers you have at your disposal as every battle you engage in demands different combinations of heroes and troops to boost your efficiency in battle. As a matter of priority, though, you may want to consider focusing on the more basic units that are almost always needed by your team. Once you unlock the expedition as well, be sure to deploy heroes to acquire more training materials for upgrading your soldiers. As you may have initially focused on a few select heroes at the start of your journey, unlocking the expedition is practically a sign that you need to start spending some experience potions and other upgrade materials on other heroes in your roster. With limited resources and equipment at the first few hours of gameplay, it is only wise to choose from among the starting characters you have to form and focus on a team which you will be using for the initial chapters of the story and the first few stages of the Time Rift. As you make further progress in Langrisser Mobile, you are bound to acquire rewards that will help you bolster your roster of heroes and have some extra gears and resources to upgrade and enhance a select few. 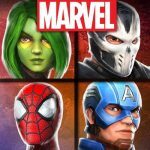 If at this point in time, you have exclusively focused on five different heroes in your roster, you should have acquired better heroes by now as well as an abundance of experience potions to level them up so now you should already try to upgrade other heroes in your roster whom you feel can prove useful in situations where the team you are using may not be sufficiently effective. As an example, you may have an infantry, lancer, cavalry, healer, and flier as your main team up to this point in the game. This may mean that you won’t be as effective in battles where there are numerous fliers since you don’t have any archers. Likewise, against demons and undead enemies that are weak against your healer, it will also be a challenge to utilize your healer to perform offensive actions as you may need her to perform her role as a support to the rest of the team so in battles where there are a lot of demon-type enemies, having an extra healer may work better for the entire team. There will also be occasions where an enemy that one of your heroes is strong against may not be in battle at all like situations where the enemy doesn’t have cavalry troops or wolves that make your lancer useful. In such instances, you also need to switch out some heroes who may not be that useful for a particular battle and select another one from your roster who may contribute more towards succeeding in battle. Having at least 2 heroes for each available class should be a good long term target after setting up your main team. Preferably, you should bank on choosing higher rarity heroes from your roster or at least those with skills that you know for certain will be good for the team. Certainly, there will be battles where having two infantry-type heroes will be more advantageous than having just one, and the same goes for each type of hero as well. As you will need experience potions even more following your quest to bring more of your heroes up to the challenge, be sure to expend daily attempts at Angelica’s Special Training School which can also be accessed through the Secret Realm. Remember to take note the scheduled daily challenge before jumping in as enemies in this game mode are completely made up of one class, making one or a couple of your heroes to be exclusively effective against each battle. As a Strategy RPG that works around a limited amount of stamina, Langrisser Mobile can limit your progress in the game and the time you spend on it, as you consume stamina with practically every battle you engage in. As such, be sure to spend every bit of it efficiently and ensure that your in-game stamina is always regenerating, meaning you either keep it below maximum or empty it out regularly. You can always click on your stamina above the screen to determine how long it will take to completely fill up. If you are stuck on both story mode and Time Rift with tons of stamina to spare, there are still plenty of game modes you can spend them on. The fastest way to deplete excess stamina would be running sweeps on the time rift to acquire training scrolls you need to advance classes of your heroes. As you are now on your way to upgrading and enhancing other heroes in your roster, you will certainly need to farm more of these items. If you reach account level 20, random events will also pop up on your map and you can spend your excess stamina here for some additional rewards. You can infinitely replay every chapter in the story that you have previously defeated as well. It doesn’t provide much rewards but at the very least, you can test out new heroes that you recently upgraded to have a better idea how they perform in battle. Although you won’t be getting additional rewards from replaying Aniki’s Gym beyond the two daily attempts, there are still rewards to be earned after playing through it beyond the second attempt. It costs 20 stamina though, so be sure you don’t have other available options to spend stamina on before choosing to spend it here. Each major node in the time rift holds 2 to 3 feats for you to accomplish as well as 1 hidden treasure chest for you to find to earn great rewards. While you can still earn 3 stars on each major battle in Time Rift and claim special rewards through the treasure chests on each chapter, the more challenging part of this game mode is actually completing all available feats and finding treasure chests on each of the major stages. As such, be sure to always check what you missed on each stage by clicking it and try to focus on accomplishing feats you have yet to conquer as well as find those hidden treasure chests. Keep in mind that the rewards you can get out of doing so are typically more difficult to acquire anywhere else so it is best to exert a bit of effort into acquiring these sooner than later. Once you have progressed far enough within a chapter in the Time Rift, you can unlock the Elite Mode which pretty much is the same as the normal mode but with much tougher enemies. You can again accomplish feats and acquire the hidden treasure chests in the more challenging version of the Time Rift but more importantly, the first time rewards you can acquire on the elite mode includes ribbons you will need to advance your heroes’ class at level 25 and can only be acquired here as well as the latter normal mode chapters of the Time Rift. For best results, you may want to initially focus on completing each stage first. Once you have secured a 3-star rating on the stage, then that would be the time to strategize on acquiring the additional perks you can obtain from completing feats and finding hidden treasure chests. As you obtain better heroes or as some may rank up in star level as a result of acquiring their shards through summoning, the base power as well as overall effectiveness of your heroes may change as quickly as you enhance more of them. As such, be sure to try and unequip gears and re-equip them following a new prioritization based on your updated roster. It may happen that some of your heroes will appear more powerful just because he or she has better gears. Once you have levelled up and upgraded the classes of the new entrants to the roster of heroes you actually use in battle, be sure to make the necessary switching of gears so that the better heroes will get the best gear they can and further boost their power and effectiveness in battle. Likewise, be sure to constantly update your defensive roster in the arena. As you should continue to expend all 5 daily attempts to battle other players in the arena, make sure that the heroes you have on your defensive roster includes the best ones that you have while still considering variability as far as classes are concerned. There are still plenty of game modes to go through as well as more cool stuff to discover in the epic world of Langrisser Mobile. As we continuously delve into its massive content, we will most likely be returning with another guide sooner or later. For now though, this is all we have for our Langrisser Mobile advanced guide and we hope you were able to learn much from the tips and strategies we enumerated here in addition to our previously mentioned ones in our first guide. If there are some tips and strategies you discovered which you feel should form part of this guide, then we will highly appreciate hearing from you about it. If you enjoyed this Langrisser Mobile guide as well and would like to give us some feedback about it, be sure to leave us a message in the comment section below!